With a low pet to caretaker ratio, your best friend is guaranteed to have hours of individual attention and TLC here at our farm. Our stalls are roomy and equipped with beds to keep your pet cozy. Fully heated and air conditioned - just like at home! Indoor/outdoor runs are available with large indoor/outdoor group play areas to keep your baby exercised and socialized with friends throughout the day. We offer overnight boarding, long term boarding and daycare. Our team members are Pet CPR & First aid certified, we are a member of the IBPSA (International Boarding Pet Services Association) and all team members are required to become IBPSA Certified. See what's happening page and daycare service for any current specials! Check out our Facebook page HERE for daily pictures of your fur-baby! Dogs give us so much love and joy, and we believe they deserve their own spectacular vacation now and then. 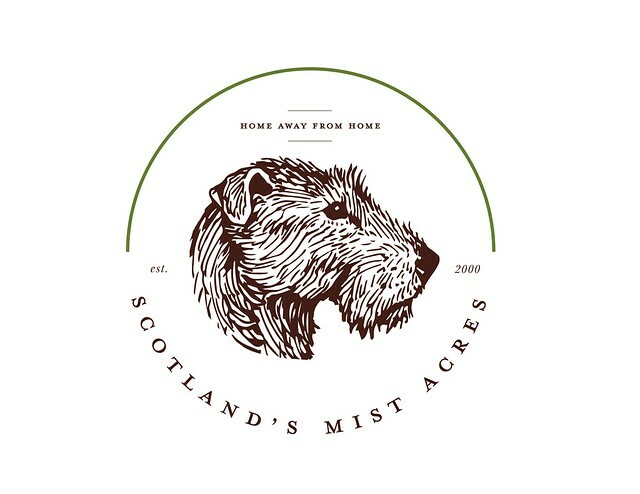 Scotland's Mist Acres is a fun-filled world of adventure where dogs play together according to size and level of socialization. Where every dog has its day - EVERYDAY!